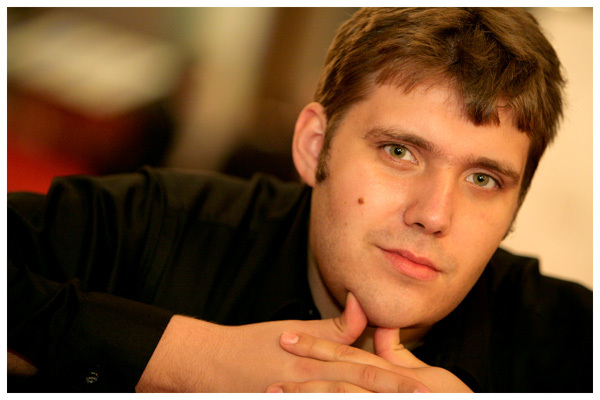 Since January of 2011, Ukrainian baritone Oleksandr Pushniak has been has been a member of the ensemble at Staatstheater Braunschweig, where his roles include Carlo Gerard ANDREA CHÉNIER, Renato UN BALLO IN MASCHERA, Miller LUISA MILLER, Don Carlo ERNANI, Amonasro AIDA, Kurwenal TRISTAN UND ISOLDE, Amfortas PARSIFAL, Figaro LE NOZZE DI FIGARO and Scarpia TOSCA. In 2016, Mr. Pushniak made his role debut as Dutchmann DER FLIEGENDE HOLLÄNDER with Victoria Theater’s RWA production in Singapore. In 2012, he won the First Prize and Audience Favorite at the Wagnerstimmen International Singing Competition for Wagner Voices in Germany and in 2013 made his debut as Donner DAS RHEINGOLD at the Bayreuth Festival in Germany. In 2015 he reprised the role of Donner in recorded concert performances with the Hong Kong Philharmonic, thus making his recording debut for the Naxos label. 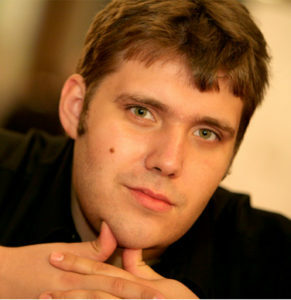 During the 2010 season, Oleksandr Pushniak enjoyed success in the role of Simone GIANNI SCHICCHI at the Castleton Summer Festival (USA), conducted by Maestro Lorin Maazel, and during the same season, he was a finalist in the IVC International Vocal Competition held in ‘s-Hertogenbosch, Netherlands. From 2008 to 2010, Pushniak was a member of the Domingo-Cafritz Young Artist Program in Washington, D.C. where he honed his professional skills while performing with the Washington National Opera in roles such as Dottore Grenvil LA TRAVIATA, Petrucci LUCREZIA BORGIA, Mandarin TURANDOT, Fiorello IL BARBIERE DI SIVILGLIA and Antonio LE NOZZE DI FIGARO. While in Washington, Oleksandr performed the roles of Conte Almaviva LE NOZZE DE FIGARO and the title-role FALSTAFF under the auspices of the Young Artists Program, as well as many concert performances conducted by Placido Domingo. In 2007, Pushniak was semi-finalist in the Domingo ‘Operalia’ Vocal Competition in Paris, and during the same time he was titled Prize Winner of the ‘European Song Contest’ held at the Styriarte Music Festival in Austria. Mr. Pushniak began his professional career as a singer and actor, performing in a variety of concert halls in his native Ukraine, among which were the National Philharmonic of Ukraine and the Dnipropetrovsk Philharmonic. Oleksandr Pushniak was born in Kyiv, Ukraine, where in 2007 he graduated from the National Music Academy of Ukraine, Kyiv, where he earned his degree in Music Performance.